This represents Tony's standard break to this old favorite. 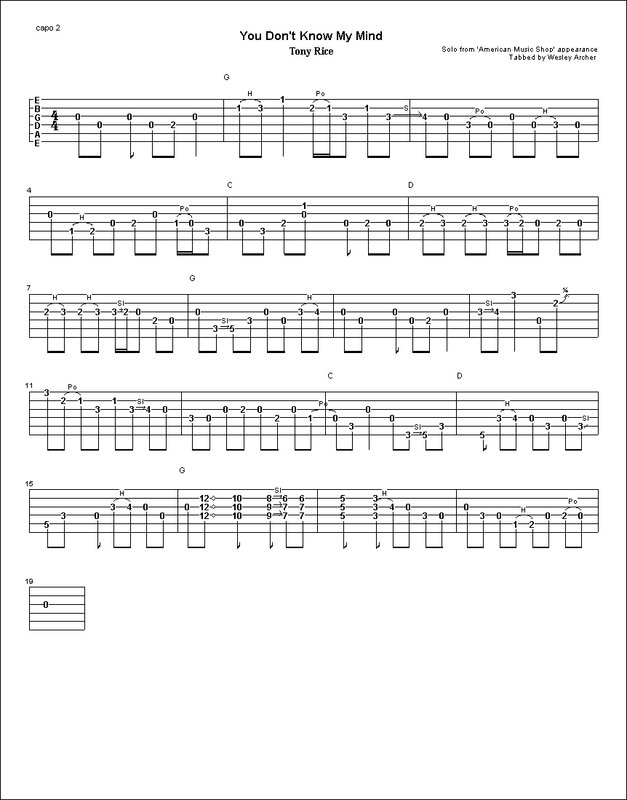 It also contains the best sounding acoustic guitar lick ever at measures 16-17. It sounds so good it even sounds cool in MIDI mode. That particular phrase of chords can be tricky both timing wise and tone wise. The downward slide should be heavily accented. The first chord at the 12th fret is harmonics.